With iMobiTrax we make setting up direct link campaigns fast and easy so you can focus on what’s important: traffic distribution. We’ve coded our platform to be optimized for both your mobile and desktop campaigns. To get started you simply need the offer you’re going to promote, iMobiTrax installed and functional, and a Facebook advertising account. 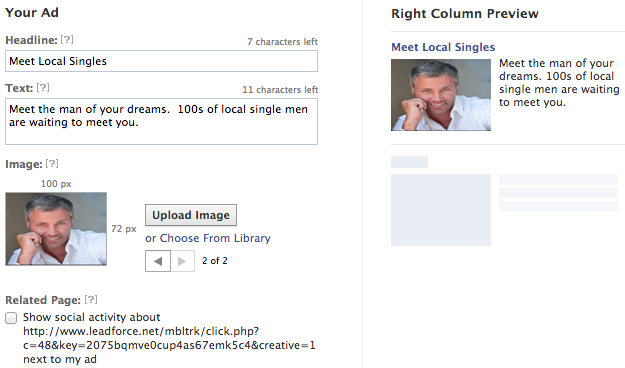 For this tutorial I’m going to demonstrate how to setup a dating campaign, direct linked. Unfortunately Facebook does not offer dynamic tracking tokens, so we’ll need to pass information about our creatives manually. We’ve made that simple to do with iMobiTrax. Once we add the traffic source we’re ready to create our campaign. Notice we enter the name of the campaign we’re going to promote, leave it to active (which is default), I left the group unassigned, defined the traffic source as Facebook, and I set an estimated CPC (we can go back and edit that later). 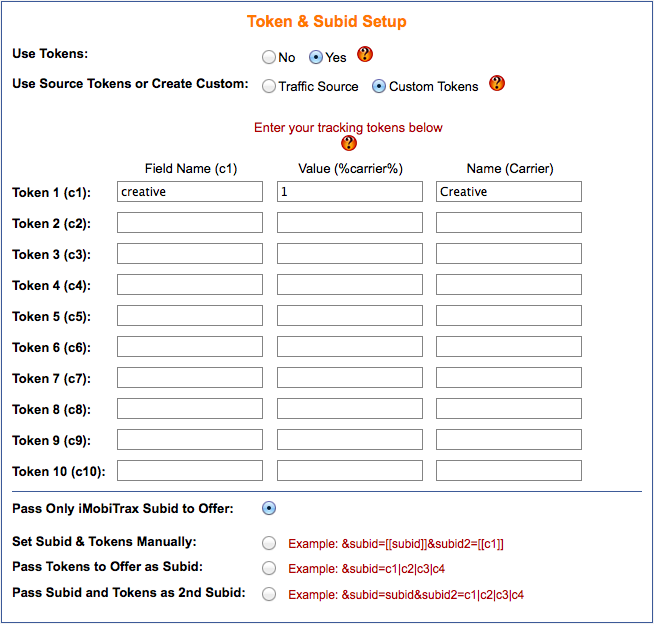 Directly under Token & Subid Setup I select YES to Use Tokens. I then set the option Custom Tokens since Facebook doesn’t provide us with any default tokens. I then set my Field Name – creative. This is what’s going to appear in our tracking link. For the Value I entered 1. It’s very important to remember that this number is going to have to be manually edited in our tracking link for each ad we setup on Facebook. Finally we name the custom token Creative. This is what is going to be shown in our reports. You’ll notice that we enter the name of the offer we’re running, the payout, and the link. Please look at how we ended the link with &aff_sub= . This is going to differ depending on the tracking platform the offer you’re promoting uses however you will always need to be able to append a subID here. iMobiTrax is going to automatically be appending a unique number to the end of this link, so if it’s not setup correctly the campaign will not resolve. We’ve now inserted our link in the Facebook platform. Since this is my first ad I’m going to leave creative=1. My next ad will be 2, the next 3, etc. This way I can quickly identify the creatives are are performing the best. Just keep in mind we have to manually edit this since Facebook does not pass dynamic tokens. Inside iMobiTrax I set the starting bid at $0.60 and that looks to be a fairly accurate place to start. We’ll let the campaign run and see the volume. The good thing about iMobiTrax is we can edit our bid depending on our results and then go back into the system and retroactively change the CPC per day or even for an unique subID. Finally, we rinse and repeat the ad creation process. I personally like to create at least ten ads per campaign where I will be editing the custom token to identify each one. I’ll then get started running and be able to evaluate my results in real time. 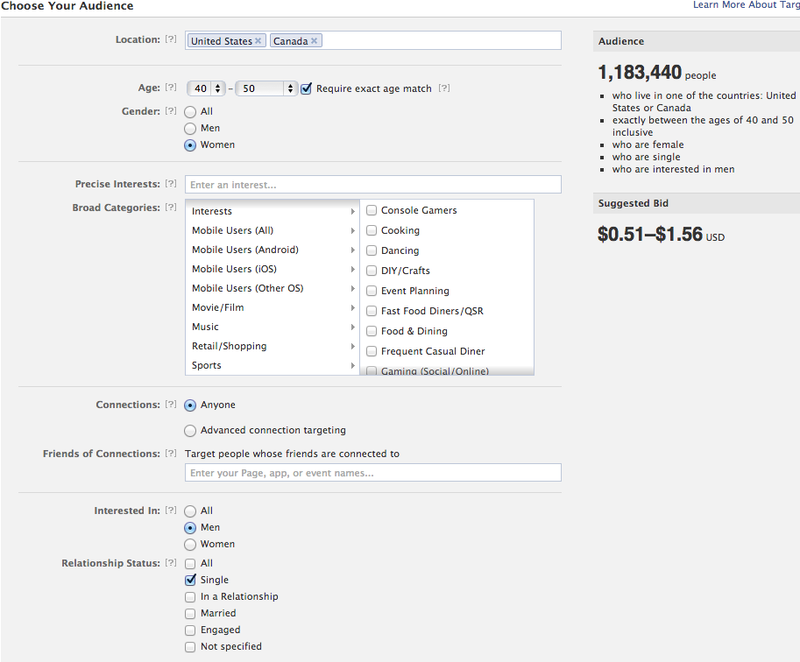 Using iMobiTrax to direct link campaigns on Facebook you’re able to quickly make important optimization decisions and closely monitor the creatives that are performing and pause the ones that aren’t. We make it easy to discover the winning aspects of the campaign and the quick path to solid profits. Happy tracking! How To Setup A Campaign On Tapit!